Bring the bar room shuffleboard experience to your home with The C.L. 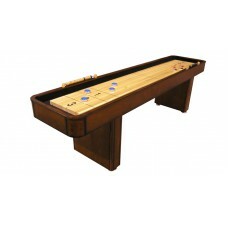 Bailey Classic 9' Shuffleboard Table. With its real wood veneer construction and solid wood playing surface, this shuffleboard table will provide countless hours of family fun!